VIP Tickets, Air Cooled Tents, Betting Terminals, Taco Bar & Champagne Tasting and Tickets Now On Sale! 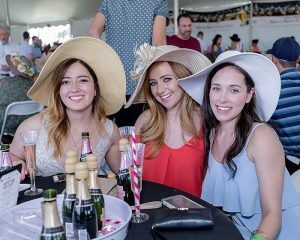 The only Kentucky Derby Party in Arizona next to thoroughbred live racing and betting returns to Turf Paradise on Saturday, May 5th Cinco de Mayo with air-cooled tents, private betting terminals, all-inclusive VIP tickets, a taco bar, champagne tastings and ever popular Mint Juleps. 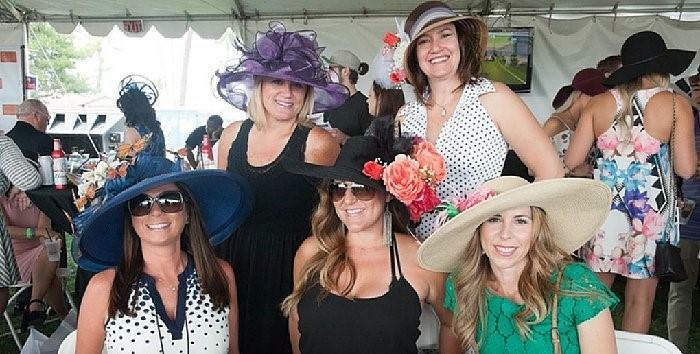 Brought to Turf Paradise by the producers of The Bentley Scottsdale Polo Championships, The Stella Artois Derby DayClub opens at 10:30am with live racing at Turf Paradise starting at 11:30am. Place your bets for the races or for the Kentucky Derby, which will be broadcast live at the track and in the Derby DayClub at 3:24pm. The past two years sold out in just several weeks. Sit track-side inside the exclusive air-cooled, polo party-like Stella Artois Derby DayClub where you can watch all the finish line action, track-side betting terminals, and a no-host bar including Mint Juleps, beer, wine and cocktails, DJ and 65” TVs to watch the Kentucky Derby. General Admission DayClub tickets into the tent start at just $30 in advance, or $40 at the door. Reserved seats are $60. Or reserve your spot now inside the Sanderson Lincoln Black Label VIP Lounge. VIP Admission includes admission into Turf Paradise, the air-cooled VIP Lounge along the track near the finish line, betting terminals, complimentary food by Fried and Fizzy, The Valley’s buzziest new food truck with fried chicken and champagne, and up to three complimentary beverages including Mint Juleps, beer, wine and cocktails, DJ and 65” TVs to watch the Kentucky Derby and live local racing. $115 in advance / $125 at the door. Purchase of these tickets also includes one complimentary 2 ounce tastings of Dom Pérignon Champagne in the Sanderson Lincoln Black Label VIP Lounge. Space is limited. Get your tickets by clicking below before we are sold out! Click here for more info on the upcoming event! 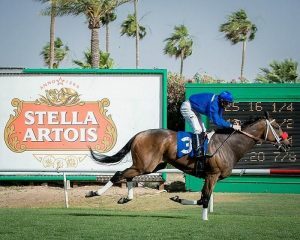 The Stella Artois Derby DayClub is a production of the Bentley Scottsdale Polo Championships, the country’s most attended polo event and Turf Paradise, Arizona’s only live horse racing track, located in North Phoenix.